Home / Ecological / How Has Plastic Waste Harmed The Environment? Modern lifestyles have taken its toll greatly on the environment. Human activities have affected the environment greatly and caused great damage to both flora and fauna alike. 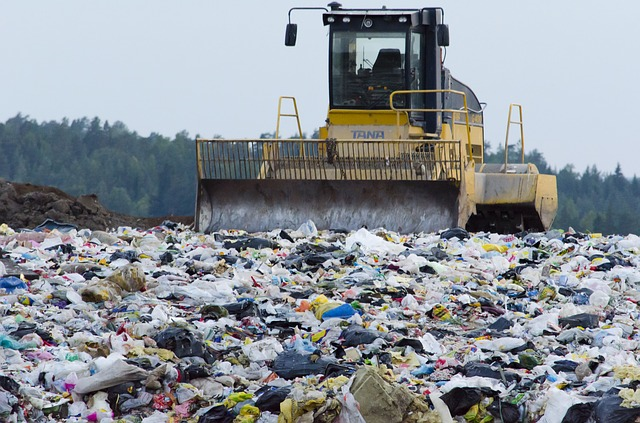 Waste production has been on the rise for a long time and the lack of proper disposal of these wastes has made things worse for the environment. Amidst all the different types of wastes that are dumped daily, the prime waste product that concerns most of the government and non-profit organizations that work to clean the environment is a plastic waste and the pollution caused by it, called plastic pollution. Let us take a look at a few ways in which plastic waste have caused serious problems in the environment that we live in. Plastic pollution occurs when wastes that are made out of plastic are dumped thoughtlessly on the land or into water bodies like ponds, rivers, and lakes, most of which end up in the seas and oceans. The harmful side of plastic is that it is non-biodegradable, i.e. it does not degrade naturally over time. Plastic waste when dumped on land kills microorganisms present in the soil and gets eaten by animals which cause them to choke. Several teams who engage in wildlife photography have captured instances where careless human activity has led to the suffocation of animals who have eaten plastic. Plastic dumped in the oceans gets eaten by fish and other sea creatures. They, in turn, get eaten by bigger fish and this results in the accumulation of toxic plastic wastes in the food chain through the process of biomagnification. Plastic pollution is harmful not only for animals but for human beings as well. Several human activities are hindered due to the plastic pollution that we cause. Farming suffers a lot due to the rising levels of toxicity in the soil which is caused due to the contamination of the soil by plastics like polythene bags, water bottles and other forms of plastic wastes. Marine navigation, fishing, wildlife photography, and even the harnessing of hydroelectric or tidal energy can get hindered due to plastic wastes. Some environmentalists are of the opinion that the use of plastics should be banned altogether. However, that is not a very feasible option. The major problem lies in the lack of awareness among the general masses about the consequences of the arbitrary disposal of plastic. Several teams and social groups of wildlife photography can come together and show to the public what harm plastic waste causes to the environment. Plastic pollution has become a very widespread phenomenon and a cause for global concern. It is our responsibility to take remedial action before it is too late.